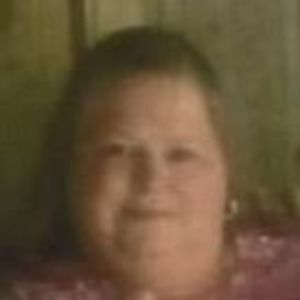 POWDERLY- Becky Sue "Speck" Wells, 57, died Monday, June 26, 2017 at her residence. Ms. Wells was born in Daviess County on July 8, 1959. She was a member of Powderly Baptist Church and a clerk at St. Vincent De Paul. She is preceded in death by her daughter, Heather Leigh Ann Wells; father, Norman "Blinky" Whitaker; husband, Ronnie Lynn Wells. Survivors include her daughter, Lindsey (Roger) Ewing; mother, Clara Sue Whitaker; brothers, Dennie (Karen) Whitaker, Jerry (Karen) Whitaker; grandchildren, Adian and Andrew; brothers in laws and sister in laws, David "Butch" (Joan) Wells, Tim (Sherry) Wells, Shirley Walker, JoAnn Wells, Sandra McIntosh, Debbie (Ronnie) McIntosh, Pam (Marshall) Jarvis, Donna Tucker, Beverly (Ritchie) Adcock; several nieces and nephews; several aunts and uncles. Funeral services will be held Thursday, June 29, 2017 at 11:00 AM at Tucker Funeral Home in Central City with Bro. Barney Pryor officiating. Burial will follow in Memorial Gardens in Powderly. Visitation will be held Wednesday, June 28, 2017 at 5:00 PM at the funeral home. Online condolences can be made at www.tuckerfuneralhomes.com. The beautiful and interactive Eternal Tribute tells Becky's life story the way it deserves to be told in words, pictures and video. I am so sorry to you all. Becky was a very sweet lady. She always spoke when you would see her. It breaks my heart to hear of Becky's passing! I have awesome memories of us growing up. She was always a friend no matter how long it had been since you seen her. A great Christian with an amazing spirit. My heart and prayers go out to the family! I am so sorry for your loss. Becky was such a joy to be around and will be missed by many, but none more than you, her family. Remembering all of you in my thoughts and prayers. May God wrap you in His arms and comfort you, as only He can do now and it the days ahead. I'm so sorry for your loss. Prayers for the family. One of the best people that lived in this World---Kind, sweet and caring. I will miss her and Ronnie as I already miss Ronnie so much. They always brought joy to me. God only takes the BEST, and another best is flying high. Lindsey is living proof of the great people they were. RIP my dear friend, you will be forever missed every day that God gives us. We are so in shock over Becky's passing and are praying for the Family to get through this time of sorrow with God's love and grace. Becky was one sweet Lady and always so kind and pleasant every time we saw her.